"I'm not dumb, but I did a dumb thing," Raymond Chaney says of getting involved in high-interest loans that eventually got him kicked out of his apartment. 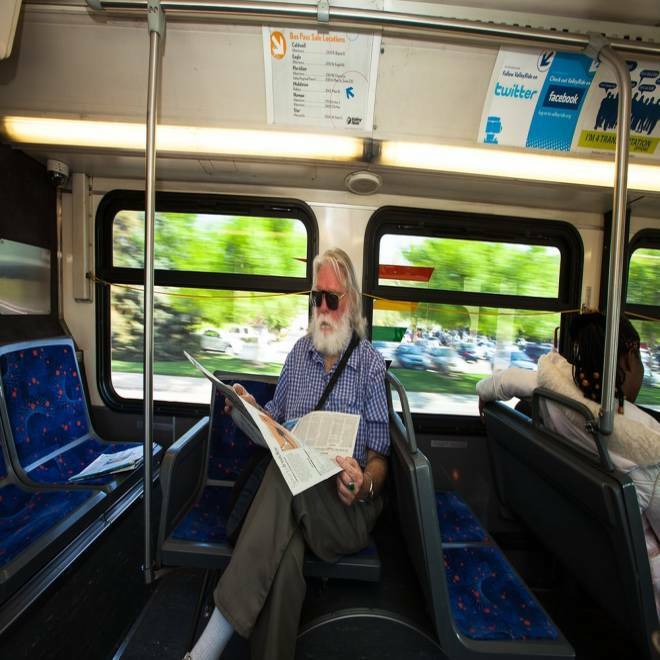 Chaney rides the bus to whittle away the time -- sometimes for hours at a time. Twelve million Americans take these types of high-interest, short-term loans annually. Most don’t have the cash to cover regular expenses and can’t turn to credit cards to cover a shortfall. Instead, they turn to what the Federal Deposit Insurance Corporation (FDIC) calls "Alternative Financial Services" — services outside typical banking systems that low-income consumers depend on, such as storefronts that offer check-cashing for people without bank accounts and high-interest payday loans. Payday loans often work like a two-week advance on a paycheck -- as a quick fix, that's fine, but like that cross-country taxi, they turn absurdly expensive for the long haul. Some states ban the loans, while others have placed hard caps on interest rates lenders can charge consumers. However, anyone with an Internet connection can find online avenues to access quick cash. Chaney’s story of getting trapped in a payday loan cycle is all too typical, consumer agencies say. Only 13 percent of payday borrowers take out one or two loans per year. More than one-third of borrowers do what Chaney did, and take out between 11 and 19 loans, the Consumer Financial Protection Bureau (CFPB) says — a hole that’s hard to dig out of. 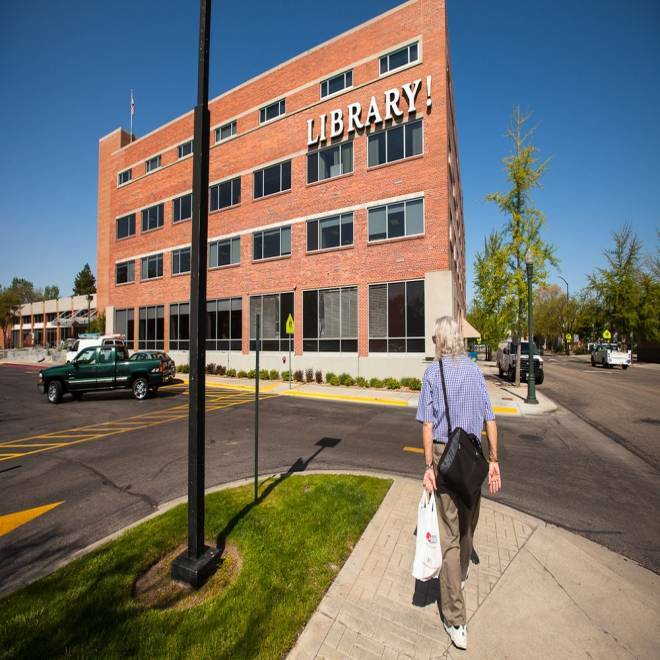 With snacks purchased from a convenience store, Raymond Chaney walks to the Boise public library where he will spend the rest of the afternoon on the Internet. 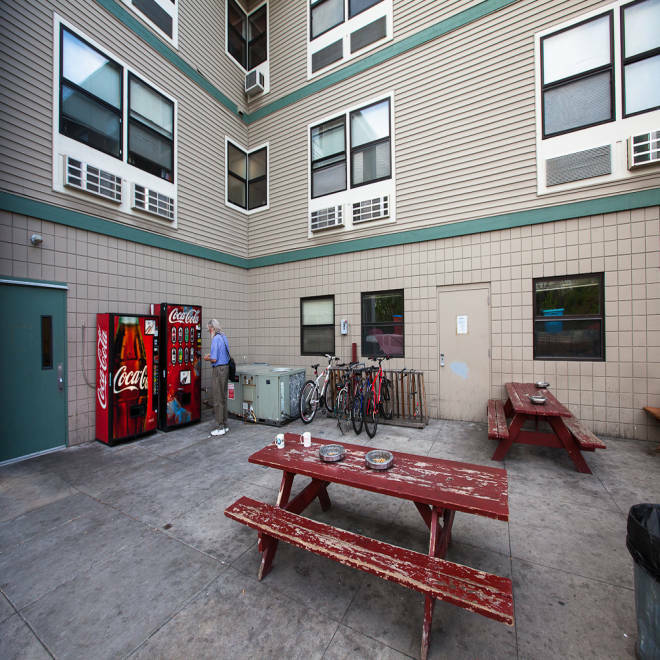 Raymond Chaney gets a soft drink outside the River of Life Mission in Boise, Idaho. “These products may become harmful for consumers when they are used to make up for chronic cash flow shortages,” the CFPB said last week in its first-ever report on payday loans, which began with the now familiar taxi analogy. The agency is now charged with cleaning up the largely unregulated alternative lending industry, which has proliferated beyond shops to online operators able to skirt state caps on interest rates. While the CFPB has threatened to impose new rules, two other federal regulators recently told the nation’s banks they must change the way they offer so-called “deposit advance loans” — products traditional banks invented to compete with payday lenders. Banks should begin assessing consumers’ ability to repay the loans, the Office of the Comptroller of the Currency and the FDIC said recently, and should stop issuing loans to consumers who haven’t repaid earlier loans. Payday loan costs appear deceptively simple — users typically pay $15 to obtain a two-week loan for every $100 borrowed. That might sound like 15 percent — cheaper than a high-interest credit card — but on an annual basis, the rate is actually 391 percent. And the loan is due in full after 14 days. Borrowers typically don’t change their financial situation in that two-week period, so they must renew the loan multiple times. The CFPB found that an average payday lender pays $458 in fees to borrow $350 for about five months. A recent examination of the title loan industry by the agency was even more bleak: an average title borrower pays $2,140 to borrow $950 for 10 months. "People get hooked on this stuff, like a drug,” says Jennifer Tescher, CEO of the Center for Financial Services Innovation, which advocates for access to financial services. "Financial independence and freedom of choice go hand in hand. It’s why our industry got started, and it’s why we’re in business today," Joseph M. Doyle, the group’s chairman, said in a message on the interest group's website. He also argues that short-term loans can be a cost-effective way to plug an emergency cash-flow gap. Most payday borrowers are poor. The largest chunk of borrowers came from those making between $10,000 and $20,000 per year, the CFPB says. And most are repeat users: About two-thirds had more than seven transactions over 12 months. In Oklahoma, payday users were more likely to take about 17 payday loans during a 12-month span than only one. A Pew survey found last year that seven out of 10 payday borrowers use the money to pay -- not for emergencies — but for everyday living expenses, like rent, said Pew researcher Nick Bourke. Sometimes people turn to retail financial storefronts for a very practical reason: there is no bank nearby. It's hard to quantify the problem of "bank deserts," but the National Community Reinvestment Coalition has tried. It calculates that from 2007 to 2010, bank and credit union branches decreased by 530 nationwide in low or moderate income neighborhoods, while increased by nearly 1,000 in middle and upper class neighborhoods. But even consumer advocates acknowledge there's a place for short-term loans like payday loans. The problem isn’t the term, it’s the interest rates, says Tesch. Chaney is working with the Idaho Consumer Finance Bureau to get back on his feet. Once he straightens out his debt problems, he’s hoping to find a new apartment. Bob Sullivan writes The Red Tape Chronicles blog on NBCNews.com. Follow him on Twitteror Facebook.